MARIJUANA & MOLD: Indoor marijuana grow operations can contain high mold levels, threatening not only those who live or work in the sites but also law-enforcement agents investigating them, according to new research from National Jewish Health. ARSENIC IN RICE: After analyzing nearly 200 samples of rice and rice products, the U.S. Food and Drug Administration has released results of initial testing to determine whether they contain potentially harmful levels of arsenic. The agency is not recommending that consumers change their rice consumption habits but does recomend people eat a wide variety of grains as part of a balanced diet. More testing is on the way; the agency is in the process of collecting about 1,000 more samples of ride and rice products -- cereals, rice cakes, rice beverages and the like -- to test. 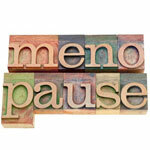 MENOPAUSE & HEART DISEASE: Women who enter menopause early, before their 46th birthday, are twice as likely to suffer coronary heart disease and stroke, new research from Johns Hopkins University School of Medicine suggests. HISPANICS & CANCER: Cancer is now the leading cause of death among Hispanics in the United States, according to a new report from the American Cancer Society. Among non-Hispanic whites and African Americans, heart disease remains the number one cause of death. SCHOOLS UNPREPARED: Most schools aren't prepared for bioterrorism attacks, outbreaks of emerging infectious diseases or pandemics, a new study from Saint Louis University finds. Only 48 percent of schools address pandemic preparedness and only 40 percent of schools have updated their plans since the 2009 H1N1 pandemic that spread illnesses in more than 214 countries.